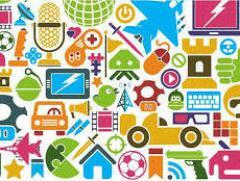 The Internet of Things (IoT), which excludes PCs, tablets and smartphones, will grow to 26 billion units installed in 2020 representing an almost 30-fold increase from 0.9 billion in 2009, according to Gartner, Inc. Gartner said that IoT product and service suppliers will generate incremental revenue exceeding $300 billion, mostly in services, in 2020. It will result in $1.9 trillion in global economic value-add through sales into diverse end markets. Due to the low cost of adding IoT capability to consumer products, Gartner expects that "ghost" devices with unused connectivity will be common. This will be a combination of products that have the capability built in but require software to "activate" it and products with IoT functionality that customers do not actively leverage. In addition, organisations will make extensive use of IoT technology, and there will be a wide range of products sold into various markets, such as advanced medical devices; factory automation sensors and applications in industrial robotics; sensor motes for increased agricultural yield; and automotive sensors and infrastructure integrity monitoring systems for diverse areas, such as road and railway transportation, water distribution and electrical transmission. "By 2020, component costs will have come down to the point that connectivity will become a standard feature, even for processors costing less than $1. This opens up the possibility of connecting just about anything, from the very simple to the very complex, to offer remote control, monitoring and sensing," said Mr Middleton. "The fact is, that today, many categories of connected things in 2020 don't yet exist. As product designers dream up ways to exploit the inherent connectivity that will be offered in intelligent products, we expect the variety of devices offered to explode." Economic value-add (which represents the aggregate benefits that businesses derive through the sale and usage of IoT technology) is forecast to be $1.9 trillion across sectors in 2020. The verticals that are leading its adoption are manufacturing (15 per cent), healthcare (15 per cent) and insurance (11 per cent).